We have had to expand the Waugh Corner lately, to make room for our esteemed new friends at the Huntington Library, California. Working with the Evelyn Waugh Society and the Rothschild Foundation, the Huntington has kindly agreed to host the two-day symposium Evelyn Waugh: Reader, Writer, Collector from 5-6 May 2017. The rationale for the symposium is below – please contact Catherine Wehrey-Miller (cwehrey@huntington.org) if you would like to attend (and let’s face it, who wouldn’t?). 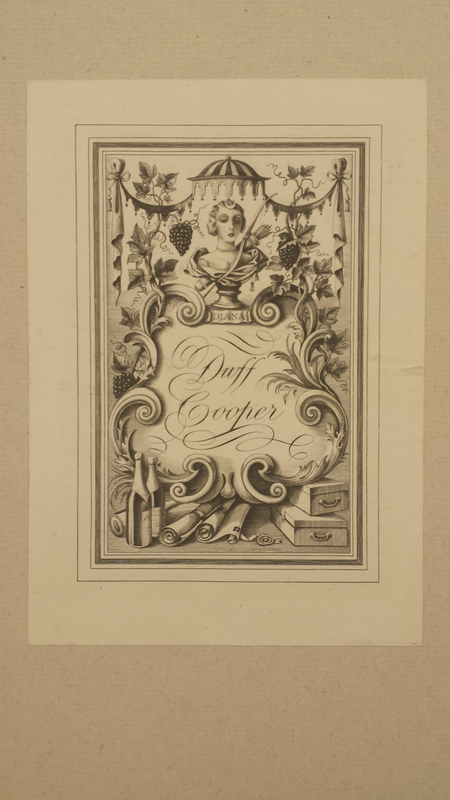 You can read more about the Huntington’s Evelyn Waugh collection in Evelyn Waugh, Cynic? and Manuscripts as Memorials by Naomi Milthorpe. In 2013, Loren and Frances Rothschild donated their Evelyn Waugh archive to The Huntington Library. In Evelyn Waugh: Reader, Writer, Collector, an international two-day symposium, Waugh scholars – researchers, editors and archival practitioners – will explore the biographical, practical and disciplinary significance of these new holdings. The symposium is a collaboration between the Evelyn Waugh Society, the Huntington and the UK-based Complete Works of Evelyn Waugh project (CWEW). How do Waugh’s own reading habits and appreciation of the book as aesthetic object inform his conviction that writing is, primarily, craft? How might textual editors influence perception of Waugh’s writing through the principles by which they order and represent its witnesses? Is it possible to collate without effacement? Do the parallel collecting activities of textual editors, bibliophiles and archival centres constitute a consolidation and defence of humanities knowledge in a time of disciplinary crisis? Waugh’s reputation as one of the great writers of the twentieth century continues to grow, and interest in his work will be enhanced the by forthcoming 43-volume scholarly edition of his Complete Works, published by Oxford University Press and supported by the UK Arts and Humanities Research Council. The Huntington’s Evelyn Waugh Collection (formerly the largest US collection in private hands) is already a major resource for readers and scholars and our conference celebrates both the Rothschilds’ donation and the publication of the first volumes of CWEW later in 2017.
about Waugh as an archivist and a collector of his own works. For a brief moment I imagined that I might one day be caught by him at the British Library Manuscripts reading room browsing his letters for fun as opposed for scholarly research, which I sometimes do. I may have to prepare carefully for such meeting. I always wondered where exactly is the Brideshead Revisited copy which Waugh proofread while stationed in Croatia in the autumn of 1944 kept. 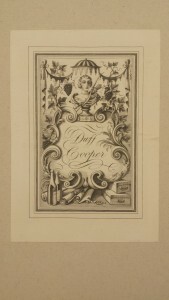 Also, the Duff Cooper bookplate is quite amazing.